It’s inevitable—at some point conference overload sets in. You find yourself in one of these situations: tired of sitting in meetings…feeling sluggish after lunch…daydreaming about the beautiful city that surrounds you. Well, here’s a solution: take a timeout, put on your walking shoes, and get ready to explore San Diego. There’s a walking tour out there meant just for you! A good place to begin is the San Diego Chapter of Walkabout International. Its volunteers lead over 100 free walks each month. Consult their calendar, check a city map, and pick a walk that intrigues you. No reservations are needed so all you have to do is show up at the designated meeting place and be ready to walk. Walkabout promises: Whether you are a beginning walker seeking exercise, a newcomer to San Diego, a hiker looking for an experienced guide, or simply are interested in exploring San Diego with a congenial group, you’ll find something of interest. Their tours have been recognized by the Save Our Heritage Organization (SOHO), the San Diego Historical Association, and the La Jolla Historical Association for their innovative efforts in promoting walking to raise people’s consciousness about local history, architectural preservation, and the rich cultural diversity within San Diego’s local communities. Even travel writer and publisher Arthur Frommer is a fan. 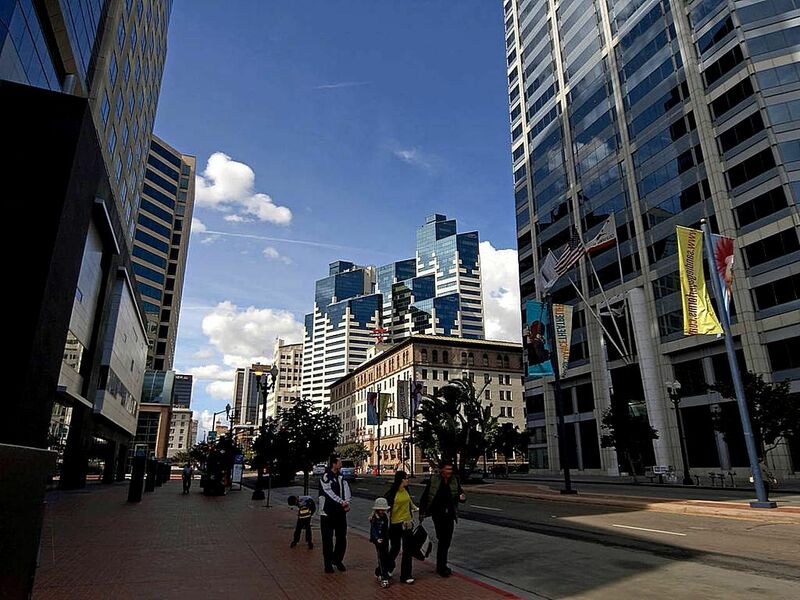 If you would like your history, fresh air, and exercise, a little closer to the hotel, the Gaslamp Quarter Historical Foundation offers a variety of walking tours, including a tour for children. If you are a group of 10 or more, the Foundation can customize architectural tour and tours of the former Red Light District for you and your friends. All of these walking tours begin at the Gaslamp Museum at the William Heath Davis House located at 410 Island Avenue between 4th and 5th Avenues. 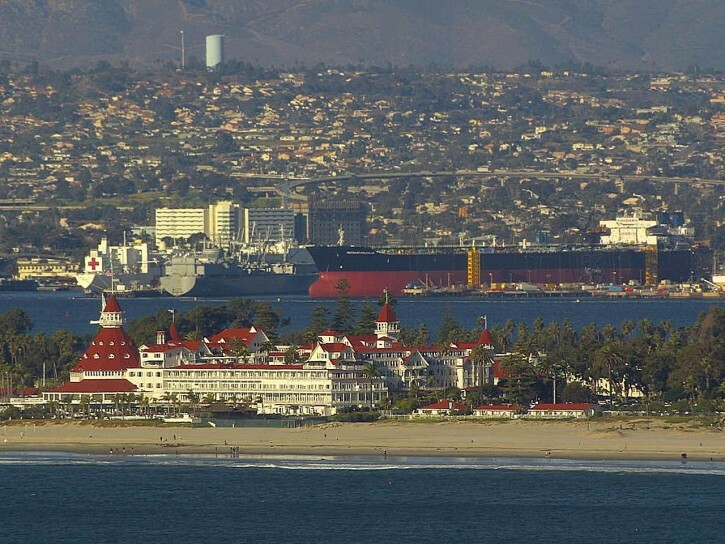 Maybe you decided to take the ferry to Coronado for brunch at the famous Hotel Del or you saw the Coronado Bridge and just had to see what was on the other side. Now that you’re here, the Coronado Historical Association’s Museum of History and Art has a walking tour for you! If you’re curious about the hotel, there is a 90 minute Hotel del Coronado Tour on Tuesdays and Fridays at 10:30am and 2pm. If you’d like to learn more about Coronado’s history and architecture, they conduct a Coronado Heritage Walk on Wednesdays at 10:30am. Meet in the lobby of the museum, 1100 Orange Avenue. The $10 fee includes, the walking tour, the publication: Architectural Gems: A Self-Guided Tour and museum admission. Reservations are required for both tours so remember to call (619) 437-8788 to save your place. If you would rather explore on your own, there are a number of self guided walking tours available to choose from. The website, San Diego Walking Tours designed by Carol Mendel, gives you a lovely overview of several inviting walks from Balboa Park to Sunset Cliffs. Each of these walking tours includes a description of what you’ll see, photographs of the sights, a map, and notes on distance and approximate walking time. If you’d rather not be bogged down with printouts and maps, you can download the San Diego Map and Walking Tours app.from http://itunes.apple.com/us/app/ The lite version is free. The full version costs $4.99. It is recommended that you download the full version for detailed maps of the tour routes and for turn-by-turn directions. The guide works offline. So once you’ve downloaded the application, you don’t need an internet connection to use it. Walking tours include tours of the Gaslamp Quarter, Old Town, Balboa Park, and even a tour of San Diego Cocktail Lounges. So, when you find yourself in need of a break, remember a walking tour just might be the answer! This entry was posted in Attractions, Events and tagged balboa park, Coronado, exercise, tours. Bookmark the permalink.